N 45° 54' 0" and E 6° 7' 0"
Annecy in Haute-Savoie (Auvergne-Rhône-Alpes) with it's 49,232 citizens is a town in France about 270 mi (or 434 km) south-east of Paris, the country's capital city. Current time in Annecy is now 07:17 PM (Monday). The local timezone is named Europe / Paris with an UTC offset of 2 hours. We know of 12 airports near Annecy, of which 5 are larger airports. The closest airport in France is Annecy-Haute-Savoie-Mont Blanc Airport in a distance of 2 mi (or 4 km), North-West. Besides the airports, there are other travel options available (check left side). There are several Unesco world heritage sites nearby. The closest heritage site is Lavaux, Vineyard Terraces in Switzerland at a distance of 51 mi (or 82 km). The closest in France is Historic Site of Lyons in a distance of 62 mi (or 82 km), North-East. Looking for a place to stay? we compiled a list of available hotels close to the map centre further down the page. 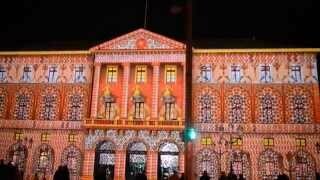 When in this area, you might want to pay a visit to some of the following locations: Saint-Julien-en-Genevois, Chancy, Geneva, Bonneville and Albertville. To further explore this place, just scroll down and browse the available info. Let's start with some photos from the area. 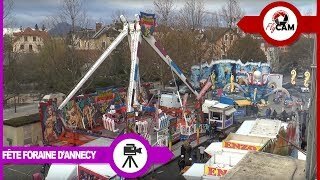 Reportage vidéo de la fête foraine d'Annecy 2013. 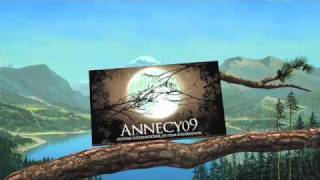 Trailer of the Annecy International Animation Film Festival 2009. 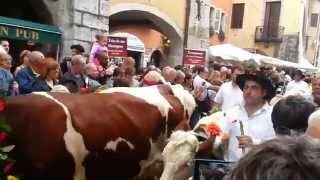 Descente des alpages Annecy 2014 part final. Lake Annecy (French Lac d'Annecy) is a perialpine lake in Haute-Savoie in France . It is the second largest lake in France, after the Lac du Bourget, if the French part of Lake Geneva (which is also partly in Switzerland) is excluded. It is known as "Europe's cleanest lake" because of strict environmental regulations introduced in the 1960s. It is a popular tourist destination known for its swimming and water sports. Located at 45.85, 6.16667 (Lat. / Lng. ), about 4 miles away. Annecy Cathedral (Cathédrale Saint-Pierre d'Annecy) is a Roman Catholic cathedral, and national monument of France, in Annecy. It was built at the beginning of the 16th century by Jacques Rossel as a chapel for a Franciscan priory. During the French Revolution the building was used as a temple of the Goddess Reason. It was raised to the status of a cathedral in 1822 when the Diocese of Annecy was created from the Diocese of Chambéry. Located at 45.8992, 6.12556 (Lat. / Lng. ), about 0 miles away. Fonderie Paccard is a French foundry founded in 1796, which has cast more than 120,000 bells located throughout the world. The foundry has been continuously operated for seven generations by the Paccard family. The largest bell cast by Paccard is the World Peace Bell. Located at 45.8449, 6.15255 (Lat. / Lng. ), about 4 miles away. The Château de Thorens is a castle in the commune of Thorens-Glières in the Haute-Savoie département of France. It is accessible from the north-east of Annecy by a road of about 20 km, going up to the plateau of Glières. It is often confused with the Château de Sales that was formerly its neighbour of a few hundred metres; Sales was destroyed on the order of king Louis XII in 1630. Located at 45.9936, 6.25556 (Lat. / Lng. ), about 9 miles away. The Château d'Annecy is a restored castle which dominates the old French town of Annecy in the Haute-Savoie département. It was bought by the town, restored and transformed into a museum, le musée-château d'Annecy. The castle is listed as a monument historique by the French Ministry of Culture. Located at 45.8975, 6.12611 (Lat. / Lng. ), about 0 miles away. Annecy – Haute-Savoie – Mont Blanc Airport or Aéroport Annecy Haute-Savoie Mont Blanc, also known as Aéroport d'Annecy - Meythet, is an airport located 3.5 km northwest of Annecy, between Meythet and Metz-Tessy, all communes of the Haute-Savoie département in the Rhône-Alpes région of France. Located at 45.9308, 6.10639 (Lat. / Lng. ), about 2 miles away. The Château de Sales is a ruined castle in the commune of Thorens-Glières in the Haute-Savoie département of France. It is often confused with the nearby Château de Thorens. Located at 45.9944, 6.25833 (Lat. / Lng. ), about 9 miles away. 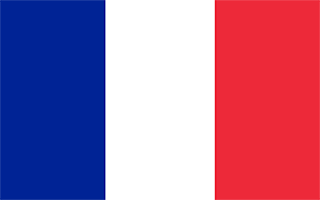 The Roman Catholic Diocese of Annecy, is a diocese of the Latin Rite of the Roman Catholic church in France. Originally erected in 1822, after the Concordat as a subdivision of the Roman Catholic Archdiocese of Chambéry, the diocese comprises the entirety of the department of Haute-Savoie in the Region of Rhône-Alpes. Only recently, in 2002, did the metropolitan change. The diocese is now suffragan to the Archdiocese of Lyon. Located at 45.8936, 6.12806 (Lat. / Lng. ), about 1 miles away. Parc des Sports is a multi-use stadium in Annecy, France. It is used by Annecy F.C. and Evian Thonon Gaillard F.C. for their home matches. The capacity of the stadium is 15,660 spectators. It also hosted the 1998 World Junior Championships in Athletics. Located at 45.9165, 6.11805 (Lat. / Lng. ), about 1 miles away. Refuge du Parmelan is a refuge in the Alps. Located at 45.9464, 6.23972 (Lat. / Lng. ), about 7 miles away. Gare d'Annecy is a railway station serving the city Annecy, Haute-Savoie department, southeastern France. Located at 45.9022, 6.12167 (Lat. / Lng. ), about 0 miles away. The Laboratoire d'Annecy-le-Vieux de physique des particules (in English the Annecy-le-Vieux Particle Physics Laboratory), usually abbreviated as LAPP, is a French experimental physics laboratory located in Annecy-le-Vieux in the Savoie region of France. It is associated with both with the French particle and nuclear physics institute IN2P3, a subdivision of the CNRS research council, and with the Université de Savoie. Located at 45.9208, 6.15972 (Lat. / Lng. ), about 3 miles away. The Château de Dingy was a castle in the commune of Dingy-Saint-Clair in the Haute-Savoie département of France. Located at 45.9108, 6.22056 (Lat. / Lng. ), about 5 miles away. Église Saint-Maurice (in English, St. Maurice Church) is a Roman Catholic church in Annecy, France. It is the oldest church in Annecy. It was originally built as a chapel of a Dominican convent in 1422, sponsored by Cardinal Jean-Allarmet de Brogny. The church has a Gothic style architecture. Chapels are built in different parts of the nave by noble families or artisan corporations from 1478 onwards, forming the present lower sides of the church. Located at 45.8992, 6.12778 (Lat. / Lng. ), about 1 miles away. These are some bigger and more relevant cities in the wider vivinity of Annecy.